Frogs, alert! Want some action this monsoon? Here's the shortest and sweetest pick-up line that's bound to work! Oh, and if you're hitting on a herpetologist, it might still work. 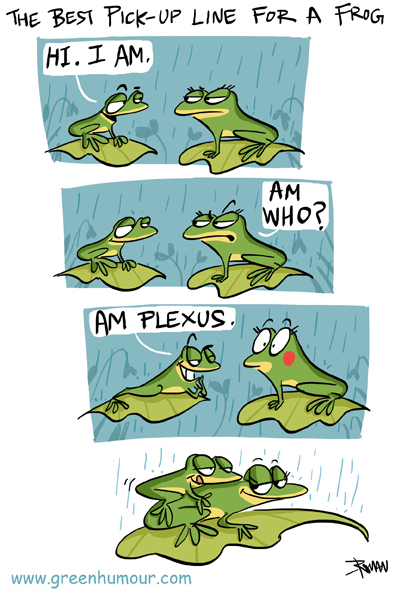 For the non-biology types, amplexus is the term referring to the mating position of frogs in which the male grasps the female with his forelimbs to fertilize her eggs with the fluid that contains his sperm. Let's hope there's ample monsoon love for the endangered amphibians this season!